The speed limit’s 75. There’s hardly any traffic. The highways go on forever, past ghost towns, red mesas and sand dunes. New Mexico is a driver’s paradise. 1. What Are New Mexico’s Auto Insurance Requirements? To drive legally in New Mexico, you must carry 25/50/10 liability insurance. That means your car insurance must include $25,000 in per person and $50,000 per accident in bodily injury liability, plus $10,000 in property damage liability. This state minimum coverage is meant to protect you — and your bank account — in case you cause a car accident. Bodily injury liability pays for other people’s medical bills and lost wages when they’re injured in an accident you’re legally liable for. Property damage liability pays for damage to other people’s property (mainly their cars) in an accident you’re liable for. 2. Is Uninsured Motorist Coverage Also Required in New Mexico? In New Mexico, car insurance policies also include a minimum of 25/50/10 uninsured/underinsured motorist coverage. This protects you when you get hit by someone without sufficient insurance, or in a hit-and-run. You may opt out of uninsured motorist coverage, if you make the request in writing, but we don’t recommend it. More than one in five New Mexico drivers is uninsured, according to the Insurance Information Institute. If one of them hits you, they won’t have any insurance to pay for your injuries or damage to your car. New Mexico also, sadly, has the nation’s highest rate of fatal hit-and-runs. 3. How Do I Find the Cheapest Auto Insurance in New Mexico? New Mexico car insurance is not super expensive, as a rule. The state ranks 32nd for the average annual cost of car insurance, according to the Insurance Information Institute. However, auto insurance is an extremely personalized product. 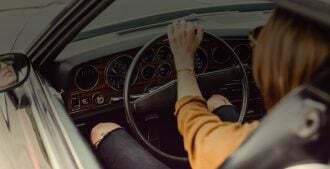 If you’re young or single; if you have a few dings on your credit history or your driving record; or if you live in a larger city, like Albuquerque, your car insurance rates may be higher. Insurance rates may also be affected by your profession and your length of time with your current insurance company. Complicated, right? The only sure way to find the absolute cheapest New Mexico car insurance is to compare customized quotes for state minimum insurance. 4. How Do I Find Cheap New Mexico Insurance That Gives me Full Coverage? A lot of people think it’s necessary to buy “full-coverage” auto insurance, meaning an insurance plan with all the bells and whistles: rental car coverage, towing, roadside assistance, etc. You don’t need all this! All you really need is a car insurance policy that will protect your assets, including your car. 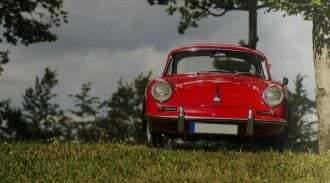 If you drive a beater car and you don’t have a lot of other assets, you may be fine with New Mexico state minimum insurance. If your car is newer and/or you have a car loan, you’ll need to have comprehensive and collision coverage. And if you own a home, or have a good amount of money saved, you’ll want insurance with liability limits to cover those assets. But how can you balance your need for protection with your need to save money on car insurance? Compare.com can help you find the perfect middle ground. As an example, we ran the numbers for a 27-year-old woman who’s shopping for auto insurance in Albuquerque. She has a good driving record and drives a five-year-old Elantra. 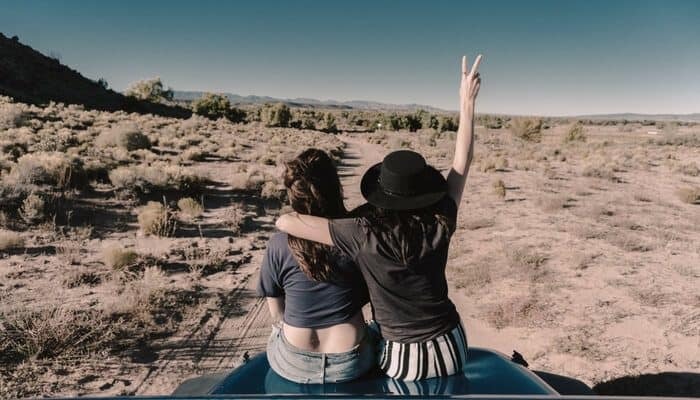 Her quotes for New Mexico minimum coverage ranged from $50 to $110 per month when she opted to pay her premiums up front (which means avoiding a down payment plus installment fees). That’s pretty cheap car insurance. However, our Albuquerque driver has a newer car, so she really needs collision and comprehensive coverage. So she’ll go back and select Basic coverage, which adds comprehensive and collision with a $1,000 deductible. Now, our driver’s insurance quotes range from $106 to $215 per month. See why it pays to compare quotes, instead of buying the first policy you see? Now, if our driver is a homeowner, or wants more insurance to protect her assets, she can get quotes for the Plus level, too. That means a whole lot more coverage! In New Mexico, Plus coverage increases bodily injury and property damage liability to 50/100/50 (with the same limits for uninsured motorist coverage). It adds $2,000 in medical payments, which covers medical bills for the driver, family and passengers after an accident — no matter who was at fault. Plus also cuts the comprehensive/collision deductible to $500, and adds towing/rental car coverage. Our Albuquerque driver’s quotes for Plus coverage range from $163 to $191 per month. Too expensive? She can click “Customize coverage” to adjust elements of her coverage. When our driver customizes Plus coverage to have a $1,000 deductible and no rental car/towing coverage, her best quote drops to $141. That’s a pretty significant savings. 5. I Can’t Afford New Mexico Car Insurance. What Happens if I Drive Without Insurance? It’s a bad idea. First of all, you’ll probably get caught. New Mexico uses an insurance identification database to match auto insurance policies to registered vehicles. If your car’s not insured, you’ll receive a warning in the mail, and your registration may be suspended. If police catch you driving without insurance, you may be hit with a fine of up to $300 and up to 90 days in jail. Don’t drive uninsured! We’ll help you compare your cheapest options for New Mexico car insurance. Get started now.